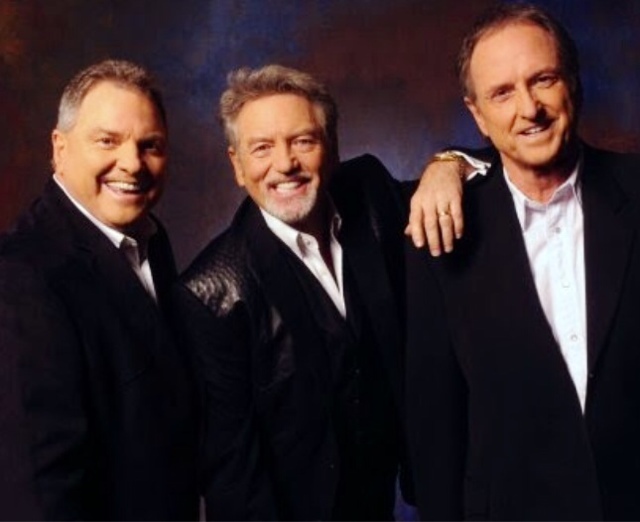 Nashville, Tenn. (January 7, 2016) - Country music legends Larry Gatlin & the Gatlin Brothers are set to be inducted into the Texas Cowboy Hall of Fame. Brothers Larry, Steve andRudy Gatlin will join this year's class of inductees when they are officially inducted on January 14 at the Texas Cowboy Hall of Fame Museum inFort Worth, TX. Induction into the Texas Cowboy Hall of Fame is the highest honor bestowed on individuals who have shown excellence in competition, business, and support of rodeo and the western lifestyle in Texas. "One of my favorite memories is round about 30 years ago when I got to be a Waggoner cowboy for a day. I'll never forget it," says Larry. "I'm sure that I will never forget this night and the great honor that you REAL cowboys have bestowed on us SORTA COWBOYS. Keep your powder dry." In addition to being inducted, the brothers are this year's recipient of The Rick Smith "Spirit of Texas Award." The award celebrates the uniqueness of Texas and Texans and is dedicated to the memory and spirit of Rick Smith, a music visionary who made a significant contribution to Western culture through his concerts, music and the ever-present "Live at Billy Bob's" recordings. The Gatlins will be inducted alongside cattlemen Jack Brainard and C.W. Cascio, horseman Dr. Charles Graham and PBR world champion bull rider Justin McBride. The event begins at 6:00 pm with the cocktails, conversation, silent auction and a "Cowboy Cuisine" at 6:30 pm. The induction ceremony follows immediately at 7:00 pm. Tickets to the event are $125.00 per person or $1,250.00 for a table of ten. For more information or to purchase induction tickets, call the Texas Cowboy Hall of Fame at 817-626-7131 or emailjulia@texascowboyhalloffame.org with 'Induction Ceremony' in the subject line. Proceeds benefit the Texas Cowboy Hall of Fame and its ongoing children's education programs along with Western lifestyle preservation efforts.